Don't forget to take your presents from under the Christmas tree! You can take 1 loot crate per day, per server (MTA:DayZ and WSBG), throughout December. You'll also get an hour of double XP time for each present you take. 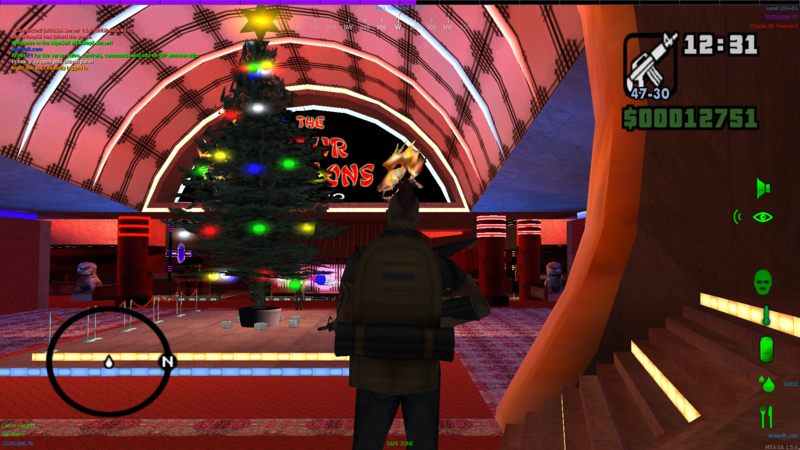 Christmas trees can be found in the Four Dragons Casino in Las Venturas, outside the Atrium in Los Santos, and inside the Zombotech building in San Fierro on the MTA:DayZ server. On the Battlegrounds server, you'll see the Christmas tree as soon as you spawn into the Four Dragons Casino lobby. It's also double XP weekend on MTA:DayZ at the moment!